When Samdrup Jongkhar got a cinema hall back in the 1950s, it was one of the first dzongkhags in the country to get a place to screen and watch films. Located in the heart of the town, the cinema was once a popular place to hang out. During those days, with no film industry of our own, the cinema hall screened mainly Bollywood films, attracting local moviegoers as well as those from the nearby Indian towns. But its popularity started waning by early 2000. Several factors contributed to its declining appeal. The introduction of television was one of them. Cable TV made inroads into Bhutanese homes and with scores of Indian channels showing Bollywood movies, the charm of cinema gradually faded. The once popular hall has now been converted into a warehouse. It bears no trace of its glorious past. However, it wasn’t long before a need for a cinema hall was felt again. Not long after the town’s movie hall stopped screening films, the Bhutanese film industry started making waves. At one point, the industry got to a stage where it was producing an average of 30 films a year. While the Bhutanese film industry continues to grow, the Samdrup Jongkhar town remains without a cinema hall. The multi-purpose halls of the schools now serve as a movie theatre. Movies are screened on projector screens.“Without a cinema hall, screening movies are quite a task here,” Jangchub Gyletshen said. Jangchub is one of the several people who are engaged in movie screening in Samdrup Jongkhar. “I love watching movies but there is no proper place to do that. 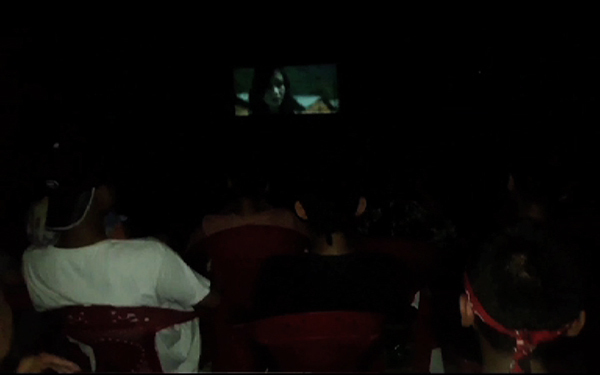 It’s hot here and watching a movie in school halls and makeshift cinema is a torture,” Sonam Wangdi, a moviegoer, said. On the bright side though, it may not be long before Samdrup Jongkhar gets a movie hall. The Film Association of Bhutan has plans to construct one in the town in the near future. Until that happens, both film producers and moviegoers will have to make do with school halls and makeshift cinema.